The advantages of having a debit card linked to your checking account are numerous. From making shopping in-store and online convenient to protecting against the risk of carrying (and losing) cash, it just makes good “financial sense” to have a debit card. Whether you’re getting started in banking or just looking to learn a few new things, here are some tips that can help every debit card user. It’s inevitable. It can happen to even the most careful and organized person. Misplacing or having your debit card stolen is inconvenient, however, rest assured that you can quickly cancel your card to protect against any unauthorized access to your checking account funds. Simply call the number on the back of your debit card to report a lost or stolen debit card. But wait a minute…. how are you supposed to do that if you don’t have the card?! That’s why we recommend storing these important phone numbers on your mobile device NOW so that you can quickly access them should you ever need to. 2. Don't skip a beat. Life doesn’t stop for anyone, even those that find themselves without a debit card for one reason or another. Whether your debit card was lost or stolen, or you simply need a debit card for your new checking account, most financial institutions offer “instant issue” debit cards. This means you can visit your local branch and walk out with a new debit card that is active and ready to use within a matter of minutes. No more waiting 7-10 business days to get a new or replacement card in the mail. Check your financial institution’s website or mobile app for branch hours and locations. 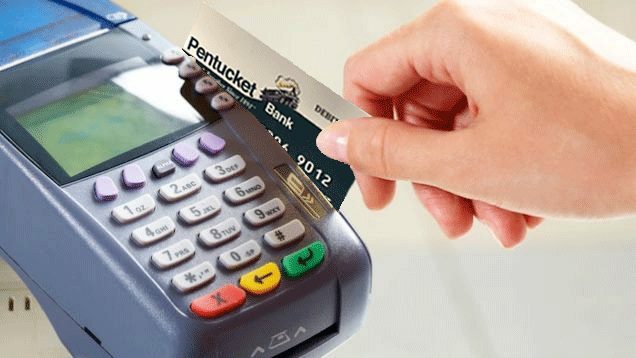 Visit our Merrimack Street (Haverhill) or Hampstead locations during regular branch hours for an instant issue debit card. You can also visit our other branch locations for an expedited (3 business days) debit card. For those moments when you need cash, skip the pesky ATM and surcharge fees by finding ATMs that are within your financial institution’s network and won’t charge you. You can usually find this information on your financial institution’s website or mobile app. Another option is to get “cashback” as you’re making a purchase with your debit card. Most retail, grocery and convenience stores provide this option at no charge. Simply ask the cashier before you complete your transaction. As an example, if you were buying a pack of gum and bottle of water totaling $1.75 and you requested $20 cashback, the total transaction amount debited to your checking account would be $21.75. Keep in mind, stores may have different limits to how much “cashback” you can get through this method. To find your nearest ATM and branch locations CLICK HERE. Aside from providing convenient access to your funds and helping protect your account, many financial institutions want to reward you for using their services. Check with your financial institution to see if they offer cashback rewards or discounts for using your debit card at participating locations. If you have a debit card and use Online Banking or Mobile App, then you’re just a few clicks away from earning cashback! With our Purchase Rewards it’s as simple as activating offers and then shopping with your debit card. The earned rewards get deposited directly to your checking account. To learn more CLICK HERE. At Pentucket Bank we offer various deposit accounts, loan programs and convenient online services to serve your banking needs. We are a local bank with branches in Haverhill, MA, North Andover, MA, Salem, NH and Hampstead, NH. Send us an email or call us today at (978) 372-7731 to see how we can help you stay on track with your financial goals.